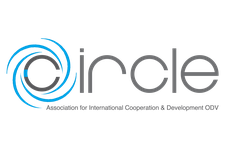 In the short time since it was founded, Circle has already dedicated itself to carrying out a number of important projects. In November 2014 Circle was engaged with its first big project, the extension for a high school for girls in Ebusiratsi St. Bakhita in Luanda. The new Ebusiratsi Secondary Girls School was inaugurated in August 2015, with a nine-member delegation from Circle attending the event in Luanda. Beginning in the summer of 2016, this new school will make an upper-school education available to some 600 girls – a sizeable increase from its former capacity of 380 pupils. Circle’s second project, scheduled for completion in 2016/17, is a school for 400 elementary-school children: Ebukuliti Primary School, also located in Luanda. The donations collected by Circle will be used for construction and extensive renovations. A kitchen and two new classrooms are to be built and the cafeteria will be extended, serving also as a multifunctional space. The third project is the construction and extension of a public shelter and school for about 30 street children of Luanda. These are children and adolescents who have been orphaned or whose parents do not accept or want them. A school and shelter for these children and young people does already exist, but it is in an extremely precarious state: There are 25 children currently sleeping in a room built for 12. There is no kitchen. The hygienic conditions are atrocious. Schooling and proper care of the children cannot be ensured under such circumstances. This is the fourth project in the area around Luanda. The Medical facility Ebwiranyi is an outpatient medical facility called Ebwirannyi. For this purpose, Circle is collecting funds to buy medical instruments and equipment, in order to ensure basic healthcare to the people living there.